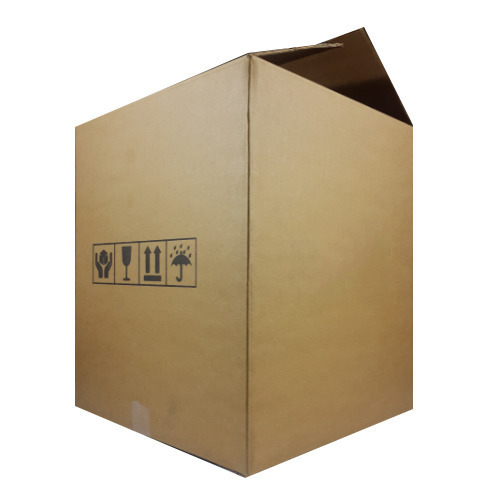 We are a leading manufacturer and supplier of Quality Carton Box. Established in the year 2011, We ‘A to Z Janta Packaging’ are one of the leading manufacturers and of a wide variety of Industrial Packaging Boxes and Corrugated Boxes, Carton Boxes, Printed Cartons and Wooden Boxes and more. Our range of products is acknowledged for remarkable features like dimensional accuracy, strength, eco-friendliness. These cater to the needs of various industries such as garments, pharmaceutical, electronic, automobile and telecom industry. We offer our clients a range of quality products that are in compliance with the international standard. Further, owing to our client-centric approach, we offer our clients with the customized solutions to fulfill their requirements. In addition to it, we have employed a team of engineers, technicians, R & D executives, quality analysts and marketing executives which ensure that our manufactured range is high on quality and is as per the needs of the clients. Moreover, to ensure that our products are high on quality, these are checked using advanced testing equipment such as compression tester and bursting strength tester. We are well equipped with our manufacturing facility unit that is spread over a large area of 10000 square feet with the ample production capacity. Owing to our quality range of products and the customized solutions that we provide, We have been able to form a huge clientele base across the world. Selleck Electronic Enclosures Pvt. Ltd.
Samrat Gems Impex Pvt. Ltd.
Kruger Ventilation Industries India Pvt. Ltd.
Star Auto Industries Pvt. Ltd. Under the able audience of our owner Mr. Ayyub Khan, we have been able to carve a niche for ourselves in the industry. Initially, we started as a manufacturer, supplier, exporter of wooden boxes and with time, we have developed into one of the leading manufacturers and exporters of different kinds of corrugated boxes.